Movies - Hollywood Movies, Indian Movies - Bollywood, Hindi, Tamil, Telugu, Kannada, Malayalam Movie Information. Provides showtimes for USA, Mumbai, Bangalore and other major Indian cities. 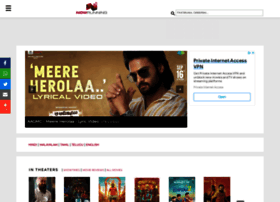 Previews, Reviews, Songs, Showtime, Downloads - The complete Indian Movie Portal.